The movie opens with Apocalypse getting set to transfer his consciousness into a new host in ancient Egypt. While he styles himself as a God, not everyone follows him blindly. While he is in the middle of the transition and vulnerable, some guards cause the pyramid to collapse on him and his Horsemen. One of the Horsemen are able to shield Apocalypse’s body until he is wakened in the present day. We cut to 1983 and are introduced to how mutants are viewed in society and where the survivors of the last 2 movies are. Raven is helping our mutants escape from opressors, introducing us to Angel and Nightcrawler in a forced gladiator pit. Charles has renovated his home into a school for mutants. We have Jean Grey and Jubilee attending as well as various others. Alex has gone to help his brother, Scott, deal with the awakening of his powers. Hank is a teacher at the school. Erik has forged a new identity and is married with a child, lying low. Moira is following rumors of an Apocalypse cult in Egypt. Moira is present when Apocalypse awakens. He goes on a recruiting drive for his 4 Horsemen, Magneto, Storm, Pyslocke & Angel, and abducts Charles for his powers. He has the intention on causing a global catastrophe to “thin the herd” and rule the survivors. Then the race is on for the new X-Men to rescue Charles and stop Apocalypse and his Horsemen. TL;DR Ok entry. Not the worst of the entire franchise. But nowhere near the best either. Loved the introduction of the young x-men. Quicksilver stole the show. This movie just didn’t feel right to me. It probably doesn’t help that the last movie i saw in theaters was Captain America: Civil War. I did enjoy watching the movie. It has decent moments. But it also has moments that drag on and on, numerous plot holes (especially as this is supposed to be in continuity with Singers earlier X-Men films). There are characters meeting each other in 1983 that are shown meeting for the first time in X-Men and X-Men 2. I guess Xavier has been playing tiddlywinks in his students heads all these years. I mean, sure, Wolverine will not remember meeting anyone as he is escaping. But why would neither Scott nor Jean remember the crazy, hairy man-beast with metal claws when they encounter him again 20 years later? Why does no one remember Kurt Wagner being part of the school decades before attempting to kill the President in X-Men 2? Why is Jubilee still a teenager in X-Men? Benefit of doubt…Maybe the events of Days of Future Past didn’t just retcon Last Stand, but X-Men and X-Men 2. The following are all nit picky, fanboy complaints. Angel’s introduction as a cage fighter was not really Angel. This was not some rich kid suicidal after the loss of his wings becoming a Horseman of Apocalypse. This was some mutant with wings (I do not think they ever mentioned his character name). Psylocke’s personality is nothing like the source material. The character worked on screen – just not as Psylocke. Digging into now ancient continuity, she played more like Revanche than Psylocke. I did love seeing Caliban on screen. His whole scene and such reminded me of Morlocks. All that said, I did not hate this movie. I am looking forward to where Fox takes this franchise in the future. I am jonesing for a New Mutants and/or X-Force film. 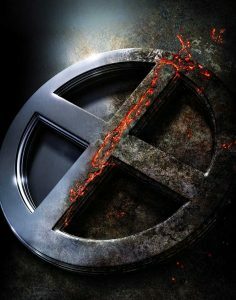 I do kind of hope they can do film without the Magneto character. Maybe scale back Professor X as well. Pie in the sky…I would love to see the Brood as an enemy in a future movie. While an epic, space opera with the Brood would be fun. They could scale it down to a Shi’ar ship crash lands on earth with an infestation of Brood. This would introduce the Shi’ar and Brood and could lay foundations for a Dark Phoenix saga movie. After credits have Lilandra, as the one surviving Shi’ar from the Brood, bringing a report of the Phoenix Force being on Earth. Final panning shot of Gladiator and the Imperial Guard.